Join the fight for a new home for humanity as Mass Effect™: Andromeda enters The Vault on Origin Access (PC) and EA Access (Xbox One). 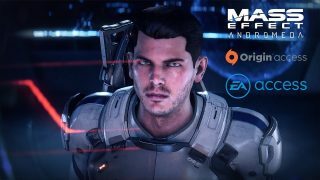 This fourth entry in the award-winning Mass Effect™ series offers players an action-packed RPG adventure set in an all new galaxy. Take on the role of Pathfinder in a story where your choices matter, and fight against dangerous new enemies as you race to unlock the secrets of the Heleus Cluster. Embark on a mission beyond the borders of our known universe. Navigate the uncharted reaches of the Andromeda Galaxy to unravel its mysteries, discover vivid alien worlds, unforgettable characters, and lead the charge to find humanity a new home among the stars. Featuring the most advanced combat in the Mass Effect™ series, Mass Effect: Andromeda is a rich and unforgettable experience. You can also continue the fight as part of the elite APEX militia force in multiplayer. Join up to three other friends and work together to battle through escalating waves of enemies, complete a series of objectives, and extract from the battlefield. Choose from over 30 different characters with unique playstyles and skills you earn by leveling up. 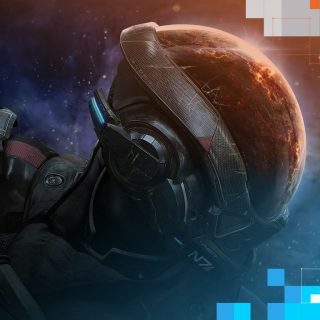 Play the latest Mass Effect adventure today through Origin or EA Access on Xbox One. And be sure to share your favorite moments with us @masseffect or on masseffect.com/moments using #masseffectandromeda.